What's the best way to travel around the world than going away with a camping car? This is what a friend of mine is doing every time she can. I wanted to send her a little notebook to record her traveling memories and I had the perfect stamp set for it. 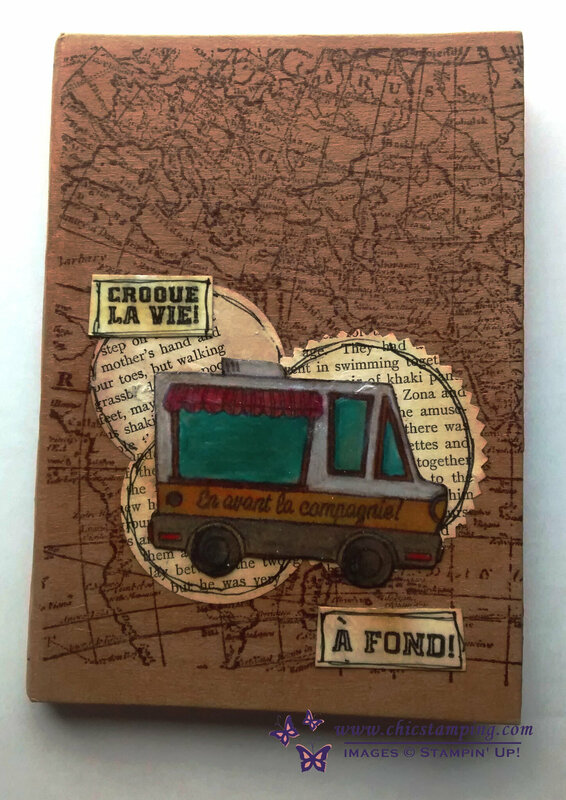 I changed this fun little foodtruck into a camper. Isn't that fun? 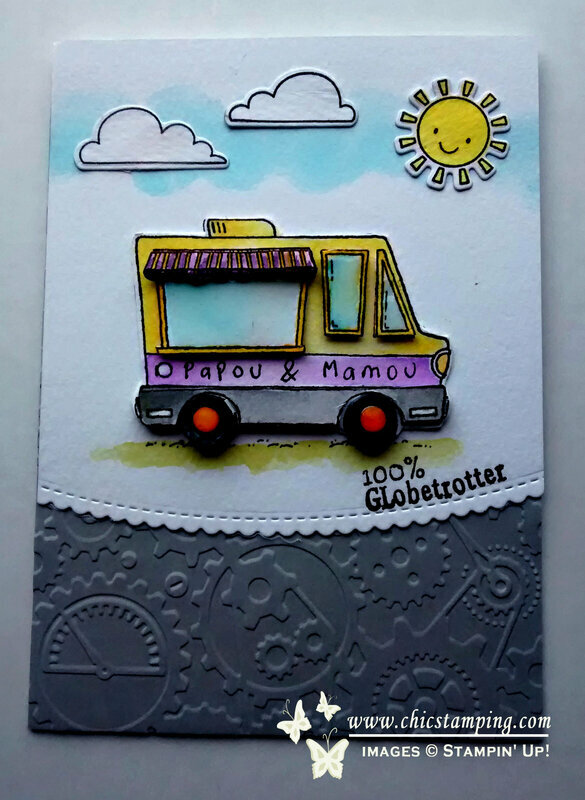 I thought it would be interesting to make a card with a 3D truck so I have stamped the food truck 3 times and cut the wheels 2 times and the windows 1 times and the "marquee" above the big window 2 times. Stick all the layers and that makes a nice 3D. I wish I had a closer look photo to show you. The notebook ended up darker than intended. I wanted to make it kind of waterproof so I used a medium gel over the stamp and it darkened all the colors. It's a learning process, I won't use that method again. But it's ok because my friend loved it anyway. I hope she is using it right now. 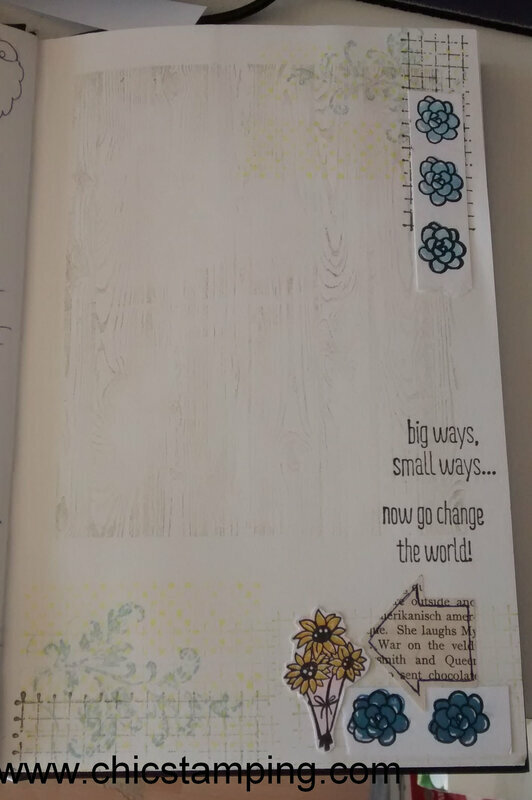 Stampin'Up!, Lawn Fawn and a no brand stamps sets for the sentiment. My favorite way of traveling is to take the train. What's yours? Car? Plane? Boat? Bike maybe? The most important thing is: No matter where you're going to as long as you're on your way. Comments Card and Notebook "Fun little stamper"